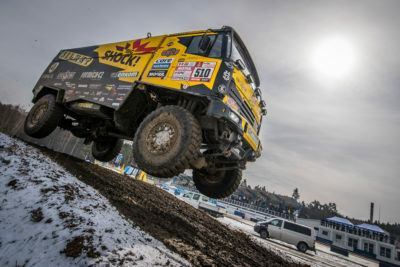 KM Racing has kept their word – the truck crew consisting of Martin Macík, František Tomášek and Michal Mrkva has won the gold. The motorcyclist Lukáš Kvapil managed to come back from the deficit caused by a fall in the first stage and finished in the sixth place. Martin Macík with his Liaz truck scored a valuable victory in the Baja Poland rally, which is a part of the prestigious European championship series. The rally took place at the weekend in a former military area. 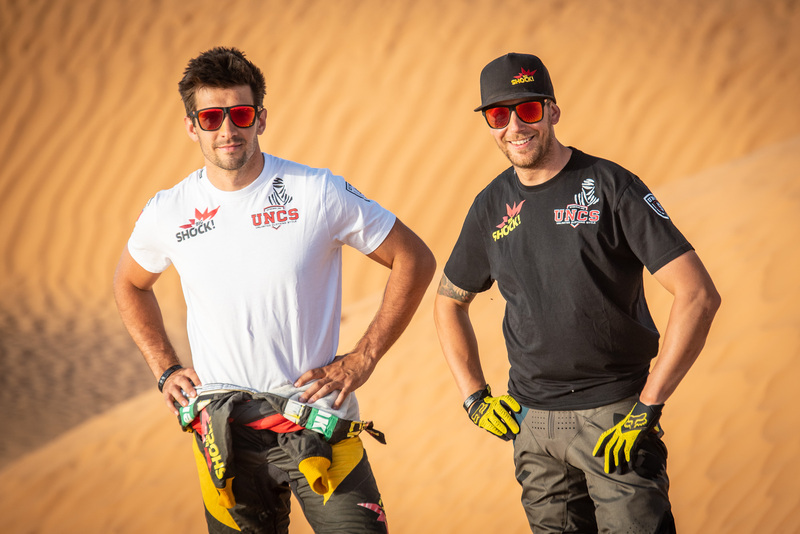 Its difficult sandy terrain very much resembled the Latin American stages of the famous Dakar Rally. Martin Macík was in the lead the whole time, all the 400 km from start to finish, with no defects and no sign of fatigue. 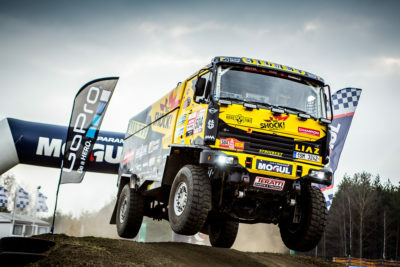 The rally was served as a good opportunity to test and get used to the adjustments recently made to the Liaz truck engine, which fared very well. “We really enjoyed the race and I liked the route very much. Besides, the Polish are huge motorsport enthusiast so the race was very popular with the audience, who created great atmosphere,” described Macík. “We have kept our resolution. We have won the gold and at the same time tested new features of the truck. I believe the new adjustments will allow me to reach even higher speeds,” said the pilot. Martin is now entering the final stage of preparations for the 2016 Dakar Rally, which will be mainly devoted to building physical strength and endurance. The fans can still support his journey to Dakar through the Todokazeme.cz funding project. In Poland KM Racing was also represented by the motorcyclist Lukáš Kvapil, who finished in the 4th place in the race prologue, with only a miniature deficit to the leading trio. “Unfortunately, shortly after the start of the first Saturday stage I hit a rock hidden in the deep sand and slightly damaged the motorcycle. Luckily I wasn’t injured and the motorcycle only suffered minor damage and after a check I could continue. I was pleasantly surprised what a motorcycle can endure. At first, right after it happened, I thought the race was over for me,” said Lukáš. Because of the incident, Lukáš fell to the 6th place. When the stage ended, the mechanic called Avatar did a great job and Lukáš could continue in the race. “On Sunday I was resolved to come back from the deficit and I managed very well. I overtook several racers who started ahead of me,” described Lukáš. Despite his great time in the second part of the race, Lukáš, however, did not manage to catch up with the leading pack and finished in the nice 6th place. 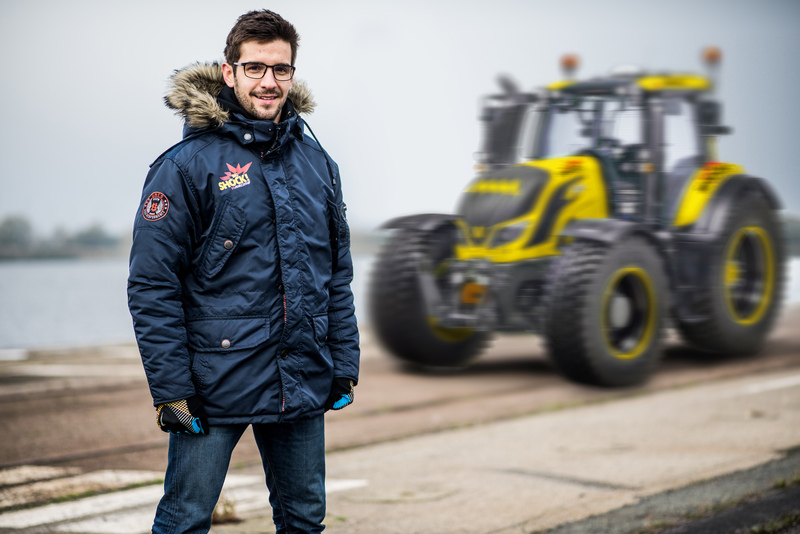 But the race was undoubtedly a good way for him to practice for the 2017 Dakar Rally.